Recently I have been trying to do a lot more photography shooting in RAW. Because of this, I have been doing a lot less editing in the Gimp and a lot more editing in Darktable. Recently I did a short review/tutorial on Darktable. I have had a few people ask me to compare or show some of the differences with Lightroom and Darktable. This will be a quick overview on some of the differences and similarities between the two programs. Here is a video tutorial showing the differences. If you don't want to watch it, just skip past it and I have some screenshot attached as well. If you are a photographer who shoots in RAW, chances are pretty good you already know what Lightroom is. 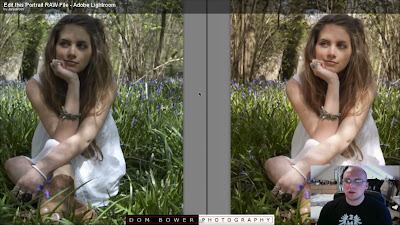 Lightroom is perhaps the most popular RAW editing software. Unfortunately (for me) it costs a lot of money. As a result (and as a consequence of me using Linux) I do not have the program to do a step by step comparison. Fortunately though, there is a wonderful website called Fro Knows Photo. If you are interested in photography, then I highly suggest you visit this site. One of the great things of this site is that the owner of the site, Jared, goes through and does tutorials editing RAW photos in Lightroom. In addition to that, he provides the RAW photos so that you can follow along and do your own edit. I suggest you give this a try as it will help your RAW editing skills. I used one of his portrait tutorials. You can visit his site here if you would like to download the RAW file (you will have to sign up for the forum to download the files though). I am not going to get into great details, but I will show some comparisons of what Jared did to the photo in Lightroom, and what I did in Darktable. This is the photo that Jared edited. I will go through and briefly write how he did it in Lightroom and how I made similar edits in Darktable. You will notice that by default, the RAW photo in Darktable does seem to be a bit brighter. Lightroom - Jared increased the yellow, exposure, contrast and black levels. Darktable - Basic>White Balance> Increased the Red and Green. Basic>Exposure> Increased the exposure and black levels. After this, Jared did a minor tweak to the girls face to lighten the shadow on the left side of her face. I don't know of any way to do spot edits in Darktable; I don't think this is possible. Lastly, Jared did some minor tweaks with the exposure and yellow, so I did the same bumping up the exposure a bit and playing around with tint. You will notice that the edits are pretty close. The main difference I can see is that Jared's edit is a bit more yellow and the shadow is reduced a bit on the girl's face. I think though that Darkroom held up fairly well against Lightroom in this edit. In the Fro Knows Photo tutorial, Jared invited a guest to make edits on the photo as well. So we will do another comparison to Dom's edit. Dom used the Lightroom Luminance tool to enhance the orange, red and yellow. He also brought the green luminance down a bit. In Darktable I did Color>Color Zones>Saturation and played with the colors. I found this was difficult to mimic Dom's edit and I don't feel like I did an incredibly good job. Darktable simply does not allow you to edit colors the same way Lightroom does. The next few things that Dom did in Lightroom simply are not possible to do in Darktable. He did a lot of edits specific to certain parts of the photo. For instance, he burned the background then increased the brightness of her face. He also did a lot of brush edits to bring up the clarity and take down the sharpness. One thing he did do that I was able to do in Darktable was adjust the white balance and tint. I did it to the exact specifications he used but it did not turn out the same in Darktable. A few more edits that Dom made were increasing vibrance, adjusting tone curve and cropping the photo. I was able to crop the photo and tried to mimic the vibrance by adjusting Luma in the equalizer. All in all I would still say Darktable is a fantastic program. It is obvious to me that Lightroom is much more feature rich. I like the fact that Lightroom allows you to do specific edits to parts of the photo and wish that Darktable could do the same. Other than that though, I think Darktable is very powerful; even though the interface is a bit different, you are able to do much of the same edits you would be able to in Lightroom. "more or less mimics Lightroom's spot removal tool: you just click on an image where you need to heal a circular area and drag to locate a sample area. You can adjust changes by shifting circular areas and changing raadius (mouse wheel above a circle)." Yeah, Darktable has incredible masking capabilities. Each and every effect module has a blending section at the bottom. Click the arrow next to the word "Blend" and you can choose uniform blending, parametric masking, or drawn masking or combined parametric and drawn masking. The parametric masking section gives the ability target your effect based on any combination of color channels. Depending on the effect, these channels may include Red/Green/Blue, Hue/Saturation/Lightness, or a(turquoise-magenta)/b(blue-yellow), chroma and grey. For each channel you can set a slope at the low and/or high end of the channel which basically feathers the edges of the effect area. You can adjust this slope for each channel's input and output and each can also be inverted or all polarities can be inverted at once. These controls can result in very finely tuned adjustments to selection areas that would nearly impossible to access by hand. For instance, you could target only areas of the image sloping off from max blue value but then falling in areas with over 50% red and only where saturation is between 25% and 75% and all those factors can be smoothly feathered and blended for the most subtle and natural effect. And, if it still has any harsh edges or high contrast dithering areas you can apply a global blurring effect to the whole mask. The drawn masking feature allows you to manually select areas of the image using brushes, gradient spreads, oval shapes, and polygonal areas. The polygon tool is really nice and intuitive creating smooth curvy shapes that avoid creating geometric artifacts. As far as I know, there is no analog to this tool in Lightroom. All the drawn masking tools have adjustable feathering and brush size using scroll wheel and shift modifier key. You can combine the parametric mask and the drawn mask with an inclusive or exclusive operation. And, the sum of this whole masking selection area can expose the processed output of the effect module as a composite image operation (like Photoshop layer blending). There are 25 composite blending options and an opacity slider. 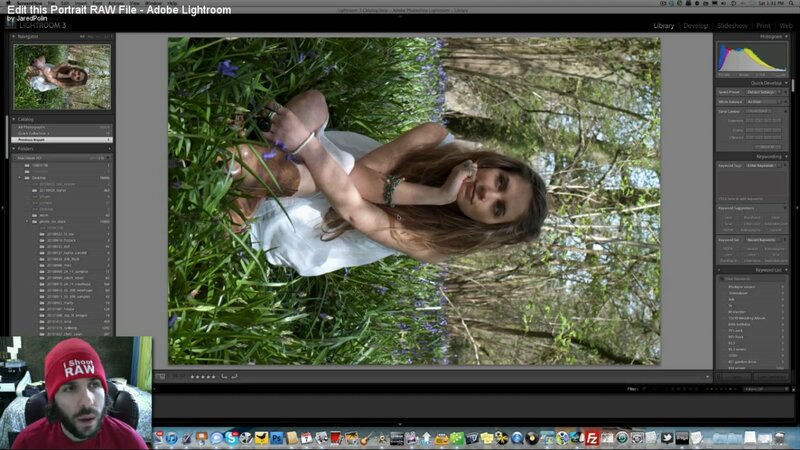 There is nothing like this in Lightroom. Most effects can have multiple instances and their order can be changed. Yeah; I have used the spot removal tool and it seems to work pretty well. 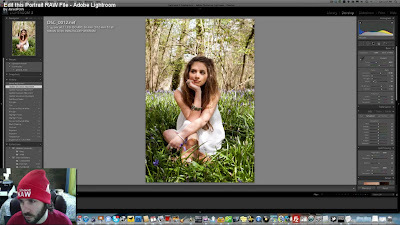 In Lightroom though you can use brushes and masks to do lighting and color changes to specific areas of the photo. 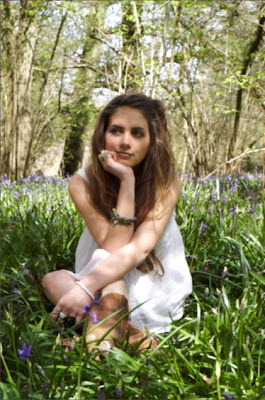 This allows you to do things such as enhance eye color, sharpen face, increase vibrancy on certain parts of the photo etc. Also, it does not make a lot of sense to try doing everything just like in Lr. We use a variety of techniques in darktable, both Lightroom, Lightzone and even The Foundry Nuke inspired, and quite a lot of things are coming from academical world and are not used anywhere at all (yet). Prokoudine; thanks for your comment. I have checked out the velvia plugin and like it. My goal with the tutorial was not to see if everything would be the same in LR and Darktable. I realize they won't be. I just wanted to see what people were doing in Lightroom to see how Darktable would compare. I always prefer using open source software and think that Darktable is fantastic! I imagine it will only get better. PolarFox; thanks for posting your image. I think you did a great job! It is great to see what can be done in Darktable. Nice article, as usual! You got me to install darkroom from the ppa (ubuntu natty) unfortunately I get only a small subset of the controls you have I tried to install darktable-plugins-experimentalb ut nothing changed, I seem to have many .so in /usr/lib/darktable/plugins but they don't show up in darkroom... any suggestions? Nevermind just found the "more plugins" tab! Stupid me! The issue isn't whether Darktable blindly copies a particular feature implementation (I agree, it shouldn't), but whether it's feature comparable. In this case, local modification of an image sounds like a missing feature. Thanks for your comment Bruce. I have always been impressed with the quality of open source software. When I was taking Photoshop and Illustrator classes in college I found that I preferred using the Gimp and Inkscape instead. I think I enjoyed those programs partially because I was more familiar with them, but mostly because they are great programs (and free to use on any computer). There are still features and layout changes I would prefer (Namely, creating scripts [macros] in Gimp is difficult at best and the layout is not my favorite [single window mode still seems problematic for me]). I think Darktable falls under the category of being fantastic software but like all software could use some improvements and new features. I have been impressed so far with the improvements I have since since I started using it. I recently have gotten back into photography and finally got a DSLR. I run purely linux and have been trying to find decent editing software. I was losting hope after trying RawTherapee and LightZone (which is out of business now I think). Darktable looks to be perfect! Now I just need to learn how to edit properly. This was perfect for being able to know that I can roughly follow a lightroom based tutorial and get a similar results. The only thing missing that LightZone had (other then $99 fee) is the local area editing that you mentioned. Hopefully that will be in future versions. Unknown? Hmmm. Should be Aaron. Oops. Thanks Aaron for the comment. Glad you discovered Darktable. Hopefully it will work out well for you. I actually need to give it another run (I haven't done anything for a few months... China has been keeping me busy and sadly, not busy taking pictures). It is my eye or Dartable overexposes all the images more than Lightroom? I am quite hard user of Lightroom for a long time. I have equipped all computers in my studio with Lightroom and love it in all ways. With Gimp, I have to say, for me there is no way to even think about it as Photoshop open source competitor. I know, too many Gimplovers will not agree..but I really hate the layout and all the ways of work. BUT...I just have seen Darktable first time and get interest into it. Today I took closer view and I can say just it is really open source rockstar in way of workflow and raw processing. Ofcourse, there are too many features missing compare to LR. But I got familiar with the way of working in this interface very fast and I can say that guys did great job. Fingers crossed and eyes kept on future steps! ...and, thx for nice review man. Thanks for the review. I've installed darktable but haven't had a chance to give it a real workout. I've been impressed with the feature set and possibilities to process photos. But I agree, I would require local editing - this is simply a must for me. I wonder if darktable will come up with masking tools? I use Capture NX2 a lot and the U-mark approach is very nice and fast. So I'll be watching the darktable development. do you know if you are able to use Lightroom actions in Darktable? In my opinion, the most important issue in a RAW processor is the level of detail achieved and the color and luminance noise reduction..! The quality of the image. Editing techniques are no that important in a raw processor. i am impressed with this review you had, though this is over a year ago. i am not sure about the recent darktable version but i have never ever looked back into lightroom after using rawtherapee+gimp+picasa combination, picasa is good for photo organisation and importing and its built in effects are good too (hard to replicate in rawtherapee). I have recently began experimenting with Darktable, yet, for some reason, all my .NEF raw files are overexposed by several stops. The JPEGs are fine, but the RAW's are totally unusable. Is there a specific plugin I need to use Nikon RAW files correctly? Any advice would be greatly appreciated. I am still missing a simple Contrast slider in darktable... I am adding blacks and so but not sure if it is the same. It looks like DT has had considerable updates sense this post. How about an update? Do you work for Adobe? I'm a photographer I've used Lightroom and DxO trial version and Darktable is better photos with more real and more bright colors also reducing noise is much better! As Perry stated: An update would be a good idea, as DT indeed got a lot of features. That indeed is true and a good suggestion. I will see what I can do (realistically, it may be a while before I find the time to do it).